The Cardinal-Archbishop of Boston issued a pastoral letter to the Archdiocese on sharing the good news of Jesus Christ: salvation is offered to all. While some of the the pastoral letter, “A New Pentecost: Inviting All to Follow Jesus” is oriented toward the situation of his local church, Seán Patrick Cardinal O’Malley says a number of things that all of us ought to study and incorporate in our situation since by Baptism we are all called to be missionaries of the Gospel. The section of the pastoral given below speaks to our need to work on our own conversion first…. and renews us in holiness as God’s people. 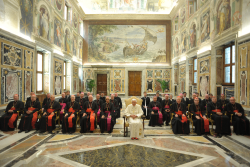 The Pope, for the first time since forming the council for promoting the New Evangelization in 2010, addressed the full body of cardinals, bishops, theologians and consultors on May 30. There are two noteworthy Americans who are key advisors for this work, Archbishop Timothy Dolan (Archbishop of NY) and Sister Sara Butler (a theologian at Mundelein Seminary). Plus, I would say that the presence of Father Julián Carrón and Cardinal Scola should be noted, also. The Pope’s talk is given below. symposium organized by the Australian Catholic Students Association, Sydney. 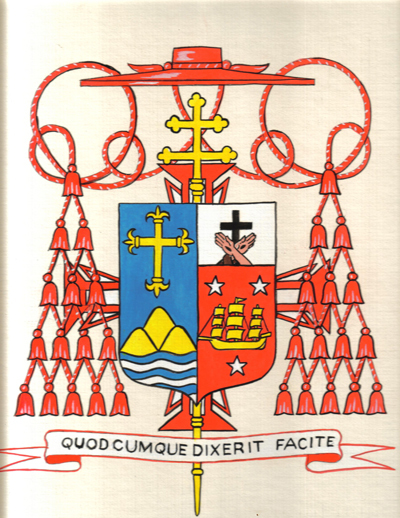 He gave “particular attention to the witness to the truth regarding human sexuality, as fundamental to holiness of life, and to the question of conscience as the irreplaceable and secure guide in the pursuit of holiness of life.” The cardinal also reflected on martyrdom. Earlier today in Rome, the overview –the guidelines– for the 2012 Synod Bishops working with the theme of evangelization was presented. This is the 13th Ordinary Assembly of the Synod of Bishops which will guide pastoral initiatives and papal thinking and programs. The title for the Synod is “The New Evangelization for the Transmission of the Christian Faith.” Archbishop Nicholas Eterovic, the Secretary General of the Synod of Bishops made the presentation of the 65 page document. This Synod will meet at the Vatican 7-28 October 2012. The guidelines, called officially the lineamenta, can be read here. The various bishops, religious superiors, Vatican offices and experts are to submit their responses to the lineamenta by November. This is step one. 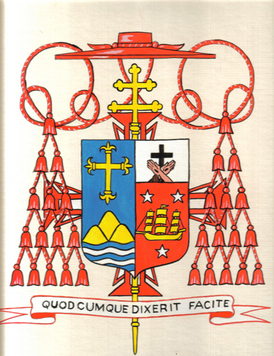 Then, the answers to questions will be collated into what is called the instrumentum laboris, the working document that the Synod and the Pope will work from. This Synod will have a significant influence in the work of the new agency formed by the Pope this past year for evangelization, the Pontifical Council for Promoting the New Evangelization headed by Archbishop Rino Fisichella. 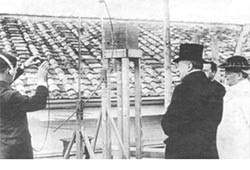 Read a few ideas on the founding of Vatican Radio.